You are here: Crunchy Betty » Blog » DIY Beauty » Farmers Market Facials – Pumpkin! Farmers Market Facials – Pumpkin! Don’t forget to add your farmers market recipe links at the bottom of the post! It doesn’t have to be pumpkin – any fresh fruit and veggie recipes will do! Let me give you a little run-down on what goes into these particular kinds of posts. It involves researching for half an hour in my books and an hour online in the morning, two to three hours of recipe creation and photography in the afternoon, and another two hours of research in the evening – all before writing. You can understand, then, why perhaps I feel I have become the food I’m writing about. In this case, I am a pumpkin. Right now, I am a pumpkin. It seems a little masochistic to suggest, then, if I’m a pumpkin, that you cut into my solid flesh and put my innards on your face. Oh ho! But that IS what I’m suggesting. Whips and chains – bleh. That’s boring. This particular veggie was very exciting to create with, because I was bound and determined to make a homemade facial mask and homemade hair mask with pumpkins that would rival the $EleventyWTF (thank you In Pursuit of Martha Points) you’d spend on haircare and skincare containing pumpkin. Even better – maybe the best thing I’ve ever done in my life – I found something to do with the stringy pumpkin mess that sticks to the seeds! You’ll never guess what it is. You guessed you were going to put it on your face, right? Right. Hair first, mask second. Then a few things you didn’t know about pumpkins. If you’ve never cooked a pumpkin, read below. It couldn’t be easier. So once you’ve done that, toss everything in the food processor or blender and let it go for 4 to 5 minutes. The end result will be this lovely, creamy, light orange mask that resembles the texture of hair conditioner. Apply as much of this to dry hair as you can and wrap hair (not mouth and nose) with saran wrap or cover with a shower cap. Leave on for 30 minutes. Wash hair well (I had to do it three times to make sure all the oil was out). You’ll be able to tell by feel when you’ve gotten the oil completely rinsed off. Do not condition, as this is overkill. End result: My hair is shinier, feels stronger, and has more body than ever before. I still need a haircut, though. Apparently pumpkin doesn’t do that for you. Cut the pumpkin in half and scoop out the seeds and innards (saving them all!). Cut the pumpkin into large-ish chunks and place them in a steamer basket (or you can use a metal colander over a pot). Fill the pot with water just under where the basket sits. Steam for 20-30 minutes, or until the skin peels away easily. Toss everything in your food processor or blender (I found it easiest in my small food processor) and let it go until everything is processed into a paste. You’ll probably still have a few small chunks of seeds, but that’s okay. Apply to a clean face and leave on for 15 minutes. Rinse well, washing off with a warm washcloth. End result: Skin was seriously glowing with the most amazing tone ever. It looked like … like I wasn’t 35 anymore. It was soft and touchable, but perhaps just a tiny bit on the dry side. Next time, I will use heavy cream instead of sour cream. But this mask – fantastic as it is. Really. PS – I added the cinnamon for two reasons: One, because I wanted it to smell like pumpkin pie. There’s a modicum of aromatherapy that goes into so many of these recipes. But, especially, I wanted to add cinnamon because it really revs up the circulation. I don’t know if that’s why my skin was glowing like it was, but I’m convinced that cinnamon and pumpkin are magical for the face. Not only can you toast your pumpkin seeds and eat them (they’re a super food, after all), but you can toast them and then grind them up finely for use in a facial scrub. For instance, they’d be a super addition to the No-Nonsense Daily Scrub for Any Skin Type. But, if you want to toast them and eat them, I found these delicious-sounding recipes for toasted pumpkin seeds at 101 Cookbooks. 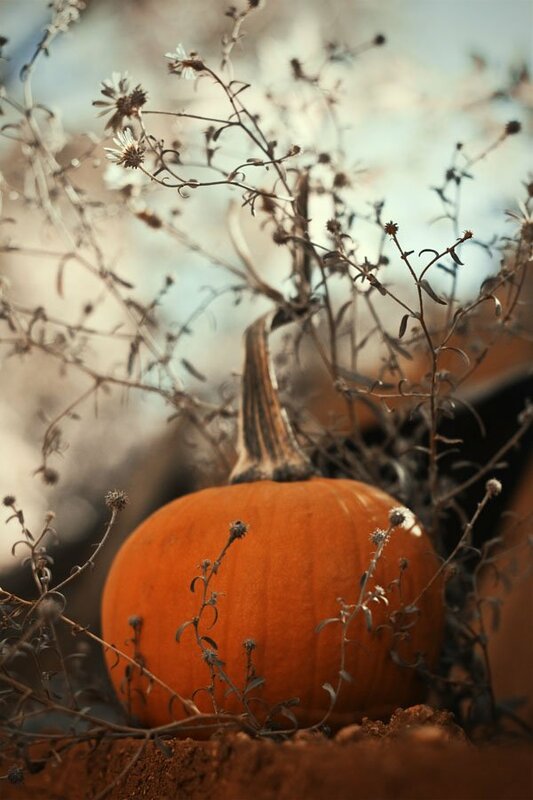 Y-U-M.
Pumpkins are SUPER high in beta-carotene and carotenoids, zinc, and vitamin C. Making them an excellent, excellent ingredient in homemade skincare. Shee-yoot. Pumpkins are often prescribed for cats when they have hairballs. Apparently pumpkin is a very effective hairball remedy. Just give your cat about a teaspoon of pumpkin puree each day, and Fluffy stops horking in the middle of the night. Pumpkin seeds contain an unusual amino acid called cucurbitin, which aids in digestive health – mainly, getting rid of parasites. The Native Americans knew what was going on. They ate raw pumpkin seeds to help rid themselves of parasites and worms. Pumpkin seeds are also very, very high in omega-3 fatty acids (and may aid in prostate health). All that may not be glamorous, but it could sure be helpful some day! The Irish used to carve turnips instead of pumpkins before coming to America. That’s right, ye randy Irish folk – you could still be carving turnips on Halloween if it weren’t for immigration. In fact, I think we should all carve turnips this year, in commemoration of silly ideas. Post your recipes to it all week long – we’ll just keep adding on every post as each day comes up. 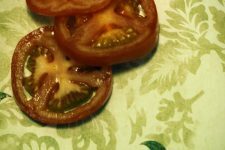 You can post as many recipes as you want. 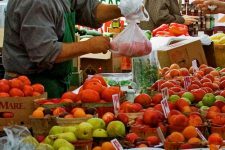 They should be recipes with a “farmers market” theme – or, at the very least, they should contain lotsa fresh fruits and veggies. Fresh. Healthy. Yummy. That’s what we want here. Toasted pumpkin seeds are my most very favorite treat. I will try the hair mask for sure. Do you think it will make my hair grow? I honestly don’t know if it’ll make your hair grow. 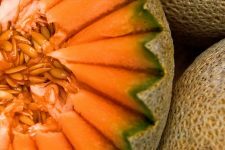 But, interestingly, I did read a few studies yesterday on pumpkin seeds and how they may be a treatment for balding, because they encourage aldosterone (I believe that was the hormone) levels. I would think if they helped with balding, they’d help encourage hair growth, too. The study was done with people ingesting the pumpkin seeds – so now you can eat your seeds and grow your hair in one fell swoop. HOW CAN YOU LOOK SO CUTE WITH FOOD ON YOUR FACE. This is a grotesque unfairness and as soon as I figure out where to do it, I will file a complaint. Haha. I just picked the right time of day to stand beside the window. That’s all. That’s the secret to decent FOYF pictures. Midafternoon shady window standing. And now that I’ve given you the secret, I expect to see some. Ha! See how I did that? See that? Ooh! I love pumpkins! (Not to eat, I just like them.) I think Penny will be trying pumpkin next so I can get some stringy pumpkin innards. Oh, it’s healthy too. Isn’t that the one of the most fun things about babies? Trying them out on foods? The looks on their faces … haha. Yeah. When my nephew was here a couple of weeks ago, I had him try a pickle. (I just snorted with laughter thinking about it again.) But he liked it! Anyway, yeah. Pumpkin innards. Never thought they were good for anything … until yesterday. Yay for pumpkin patches! I cannot wait to see your pictures from that. To this day, some of my favorite pictures were from the time the whole fam went to the patch (and got lost in the corn maze). Don’t get lost in the corn maze, LL! You have to come back and finish constructing your blog. When IS that going to be done? I am FOYFer Girl! Able to clear acne in a single bound! I have pumpkins growing in my garden,but they’re not quite ready yet so I will save this. Do you think they will make me look younger than 49 1/2? Why do so many people have so many things growing in their backyard that I have to be jealous of? My next living space is going to have a giant garden. Heck, at this rate, my next living space probably WILL be a giant garden. And I think it will make you look younger than 49-1/4. The jeans will do the rest. So…I wonder how a pumpkin-and-yogurt mix for facial or hair mask would be? (I made cookies with half a can of pumpkin puree and still have the other half in the fridge…) Or a pumpkin-yogurt-honey facial, since I don’t currently have any stringy pumpkin guts? Oooh. That sounds really good (though make sure the puree is pure pumpkin, yeah?)! The best thing about homemade beauty treatments – throwing whatever you have left over on your face. For reals. I don’t know how many times, in the past, I’ve let fruits and veggies just sit listlessly in the refrigerator until they were, um, dead (leaking fluids means they’re dead, right?). Not anymore! 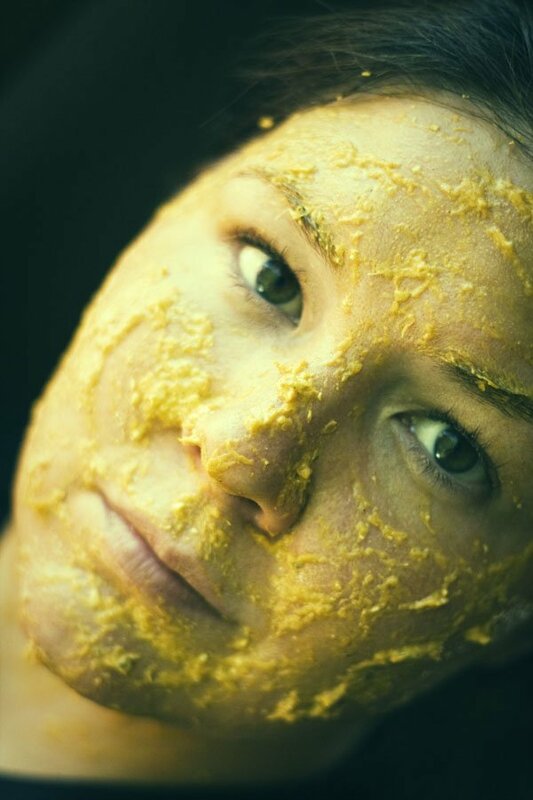 Although I kinda want to eat your yogurt-honey-pumpkin mask. That. Sounds. So. Delicious. You gotta fill me in on the crunchy results! Maybe on someone else’s skin…anyone? Well, y’know, I gotta be honest here: No other mask is as wildly immediately gratifying as the coffee one. That one is just so dramatic – so instant – everything else is pretty muted and subtle after that one. Doesn’t mean I don’t love them dearly, but when I want instant results that other people REALLY notice, I go for the coffee. And I LOVE the idea of making a body scrub from the pumpkin. Totally on my list of things to do now!